Running an eCommerce store lets you reach shoppers from around the world. But unless you can communicate with those visitors, you might be missing out on sales at your store. 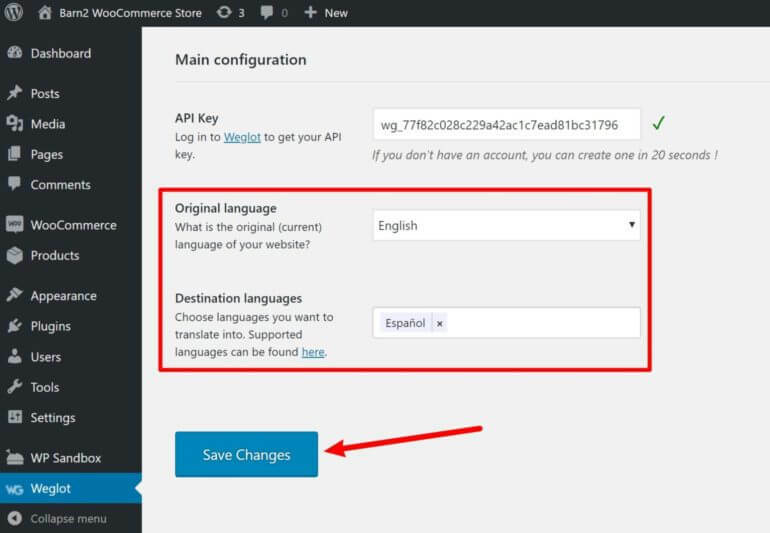 In this post, we’ll discuss the benefits of creating a multilingual WooCommerce store. Then, we’ll show you step-by-step how to create a multilingual WooCommerce store using the Weglot plugin. 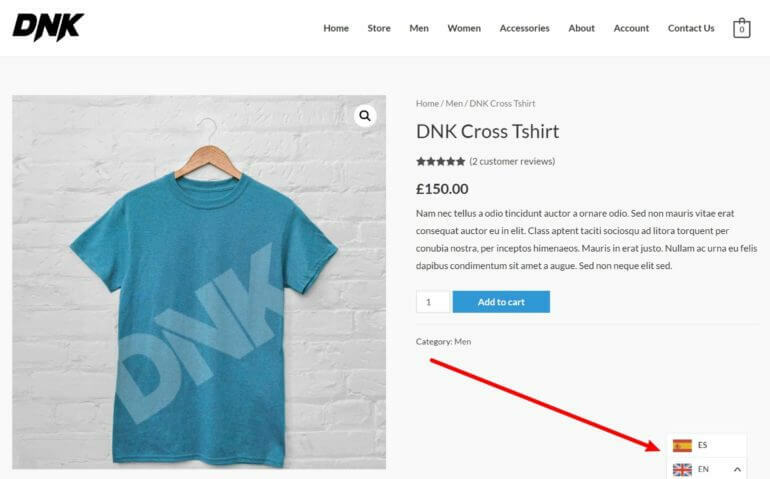 This tutorial will work for both your regular WooCommerce shop pages, as well as any order forms or product tables that you’ve created with WooCommerce Product Table or any other Barn2 plugin. Why do you need a multilingual WooCommerce store? According to the latest stats, about 75% of the world’s 4+ billion people on the Internet use a language other than English. If your store ships globally, that means you’re going to have shoppers that almost certainly speak a different language than your store’s native language. Having shoppers who speak different languages isn’t just an issue for global eCommerce stores, though. You’ll also find lots of different languages spoken in small geographic areas. For example, the U.S. Census Bureau estimates that almost 45% of families in California speak a language other than English at home. So why do those two statistics matter for your store? Well, as you’d expect, most people prefer to shop in their native language. According to a Gallup survey commissioned by the European Union, 42% of respondents never search or buy products in a language other than their own, and 38% only “occasionally” shop in other languages. Put those two numbers together and it’s pretty clear that people prefer to shop in their native language. 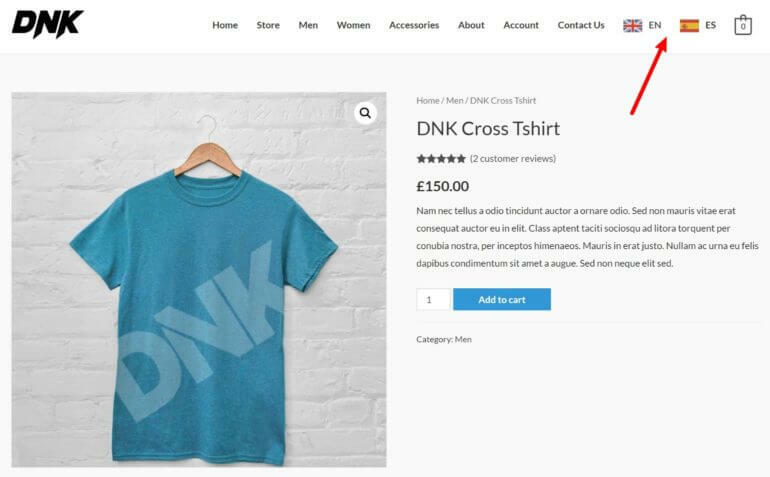 So by creating a multilingual WooCommerce store, you make your store more appealing to shoppers who speak different languages and give yourself a chance to convert shoppers who previously might’ve skipped your store. Beyond the benefit to your store’s usability and conversion rate for existing shoppers, creating a multilingual WooCommerce store also gives you a chance to reach more shoppers in the first place by expanding your reach in search engines like Google. See, when you use the right WordPress multilingual WooCommerce plugin, you’ll be able to rank your product pages in Google for new languages. This can have a big effect on your traffic. For example, let’s say you sell handmade soap. In English, “handmade soap” gets about 5,000 searches per month in Google. 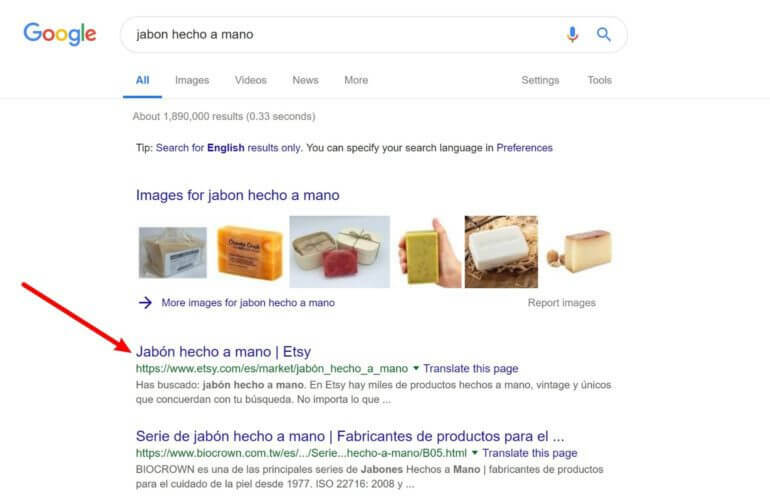 But maybe you see that “Jabon hecho a mano” – “handmade soap” in Spanish – gets 1,500 searches per month. By translating your product page from English to Spanish, you now have a chance to reach 6,500 people per month (English + Spanish), instead of the 5,000 people from before. How many new visitors can you reach? Well, that depends on what your store sells. 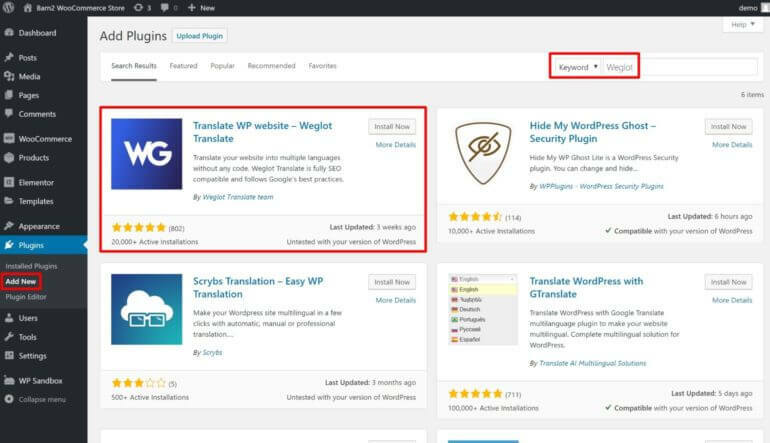 Weglot is a WordPress translation plugin that helps you translate your entire WordPress site, including all of your WooCommerce content. One of Weglot’s big benefits is its ease of use. With Weglot, you can have a working multilingual WooCommerce store just a few minutes after activating the plugin. To offer that ease of use, Weglot uses automatic machine translation to completely translate your store right away. Then, if you want to have a human review the machine translations, you can use the Weglot cloud dashboard to either review the translations yourself or outsource them to professional translators. Beyond being easy to use, Weglot follows multilingual SEO best practices to ensure that Google and other search engines can rank your translated content. Each language gets its own unique URL structure, and Weglot will add the hreflang tag and let you edit the SEO title and meta descriptions that you add with a plugin like Yoast SEO. 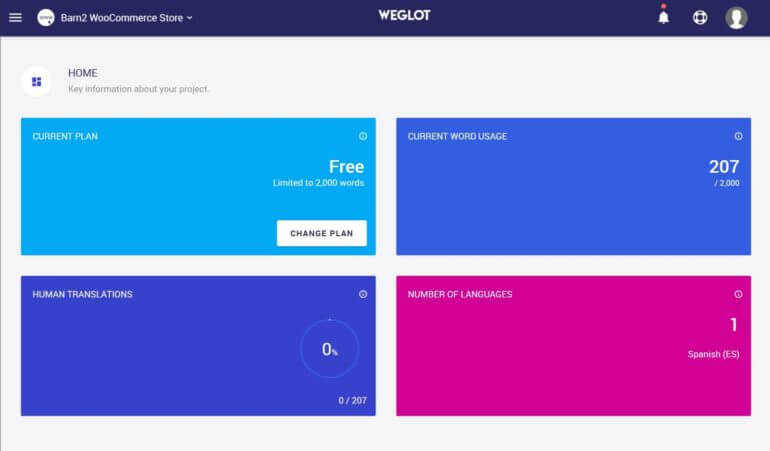 Finally, Weglot lets you translate 100% of your site’s content, which means that it will work with WooCommerce, your theme, all of Barn2 Media’s plugins, and any other plugins that you use at your store. 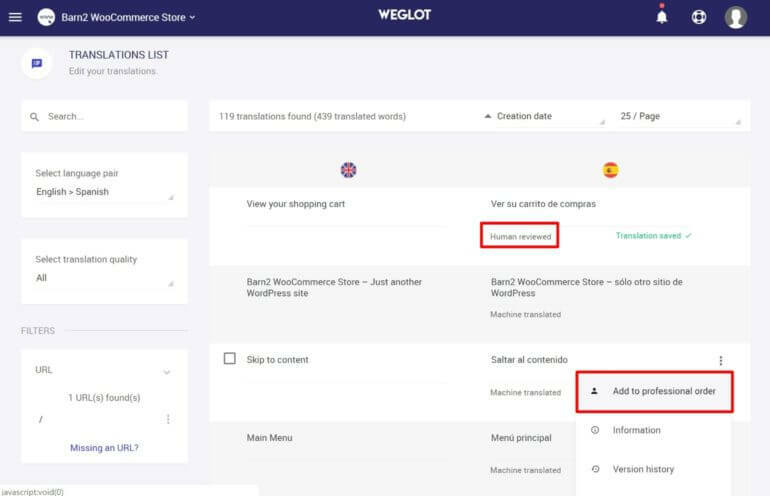 Now that you know why a multilingual WooCommerce store matters, let’s dig into how to translate your WooCommerce store using Weglot. 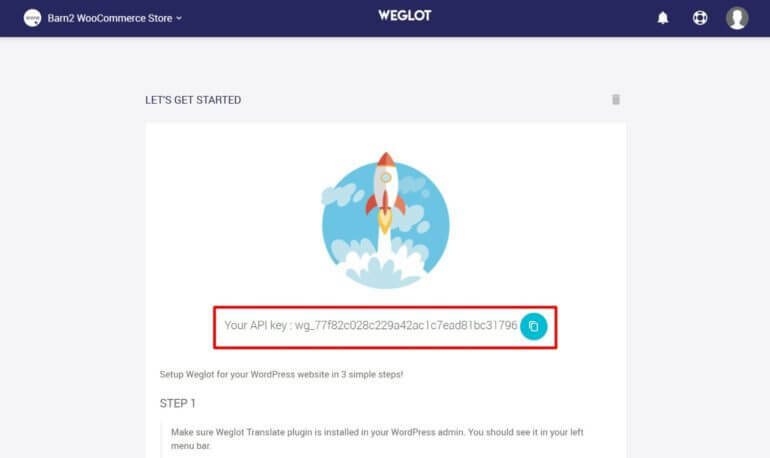 To get started, you need to install the Weglot plugin at your store and then activate it by registering for a Weglot account and adding the API key in the plugin’s interface. You can also access this page directly by going to your Weglot dashboard. You should see a green checkmark appear to the right of the box – this indicates that the connection was successful. 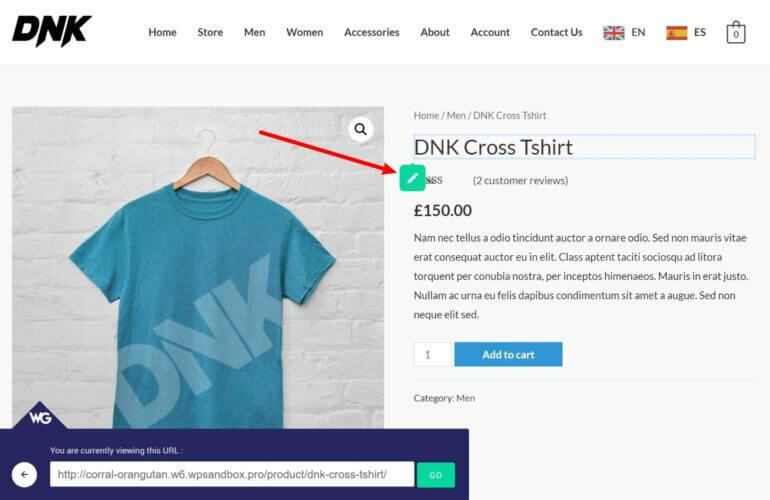 Original language – the language that your WooCommerce store currently uses. Destination languages – one or more languages into which you want to translate your store’s content. 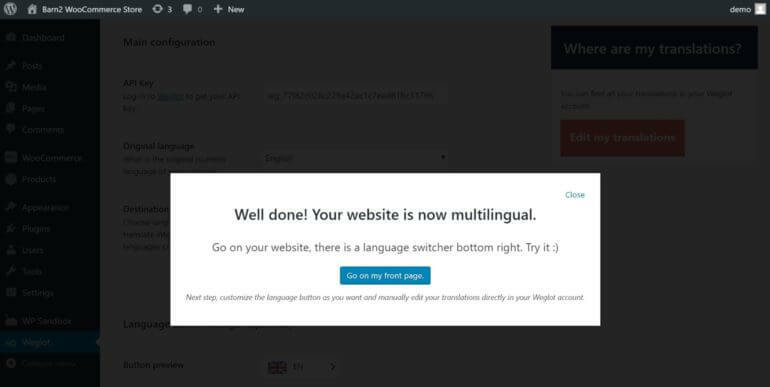 By default, Weglot uses automatic machine translation to help you create a multilingual WooCommerce store. To help you manage your translations, Weglot gives you two different interfaces. Both interfaces let you edit 100% of your store’s content, including your WooCommerce product pages and content from all of Barn2 Media’s plugins. First, there’s the Translations list. With this interface, you’ll see a side-by-side view of your original content and the translated version. Second, you can use the Visual Editor. 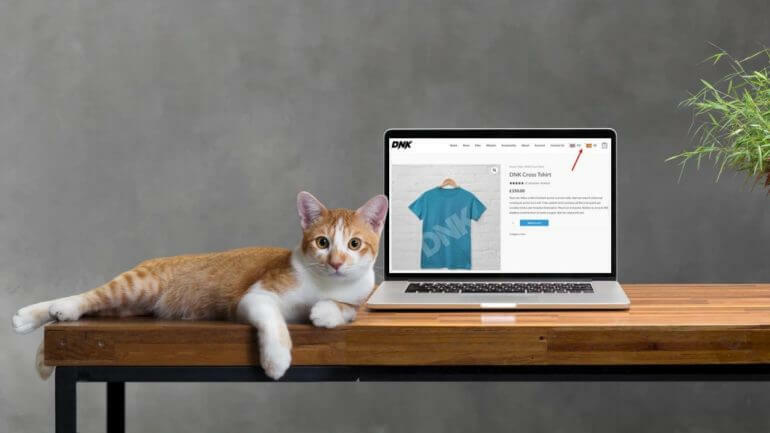 With this interface, you’ll see a live preview of your store. To edit a specific translation, all you do is hover over it and click the green pencil icon. 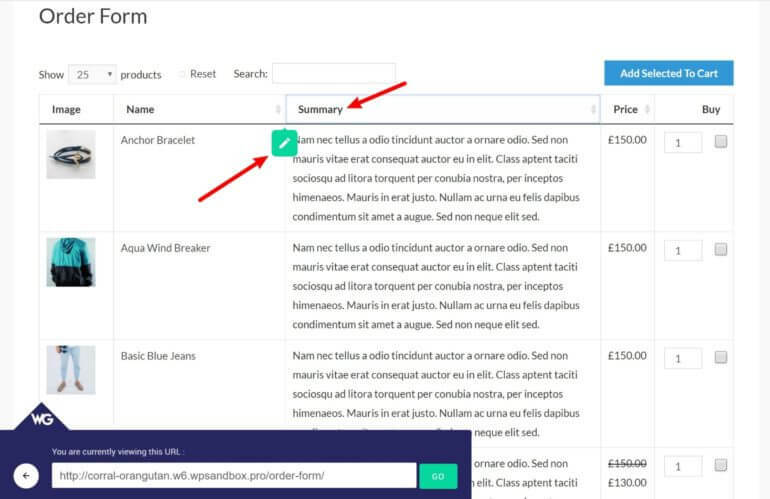 You can use the same approach to translate a product table from WooCommerce Product Table, or content from any of Barn2 Media’s other WordPress and WooCommerce plugins. Once you make your edits, those changes will automatically sync with your WooCommerce store. 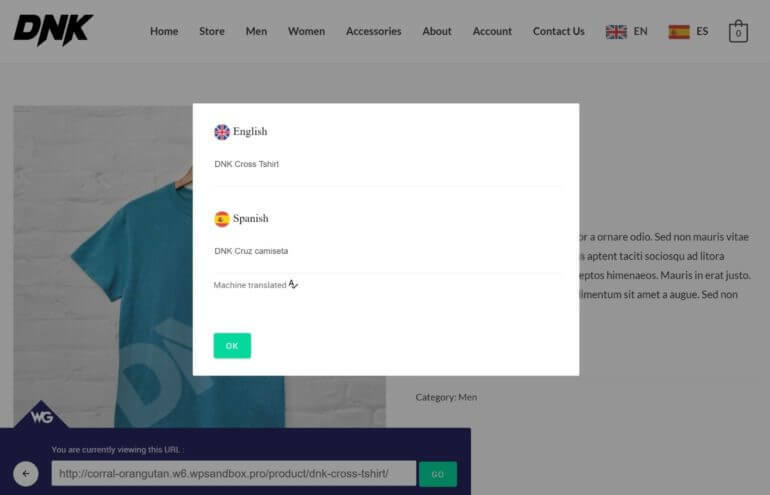 Creating a multilingual WooCommerce store is a great way to improve your store and reach new customers. 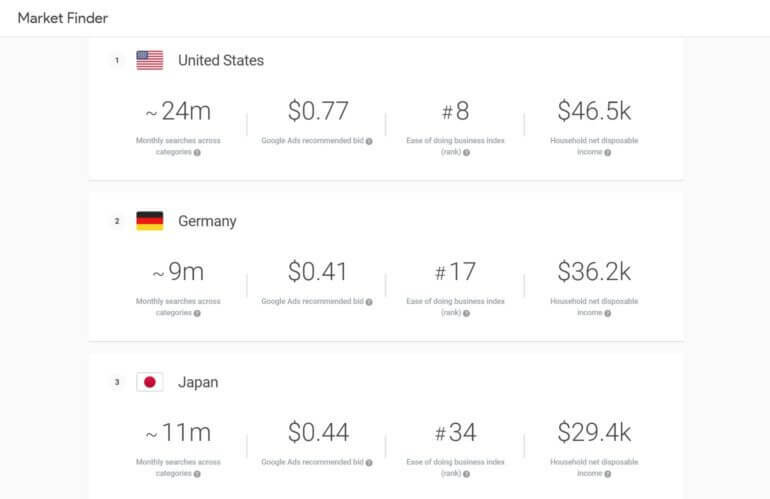 Rank your product pages in Google for new languages. Connect with the ~42% of shoppers who “never” shop in a language other than their own native language. 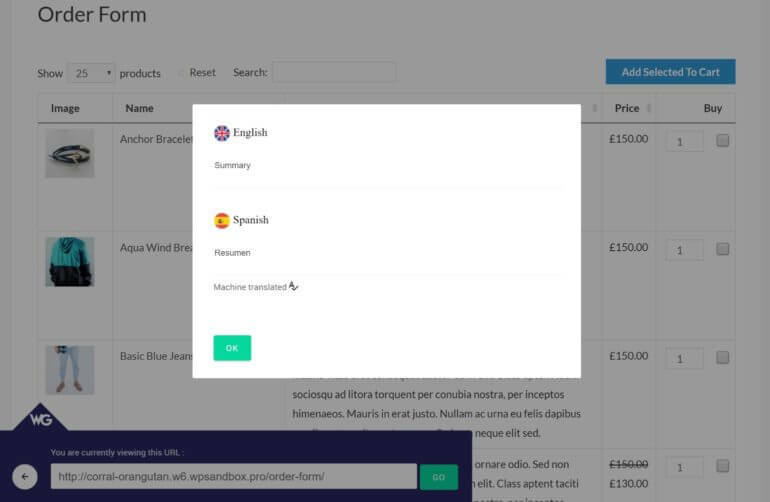 For the fastest, simplest way to create a multilingual WooCommerce store, you can use the Weglot plugin. It will have you up and running with a multilingual WooCommerce store in just a few minutes. Then, you can use the two editing interfaces to tweak and refine your translations. 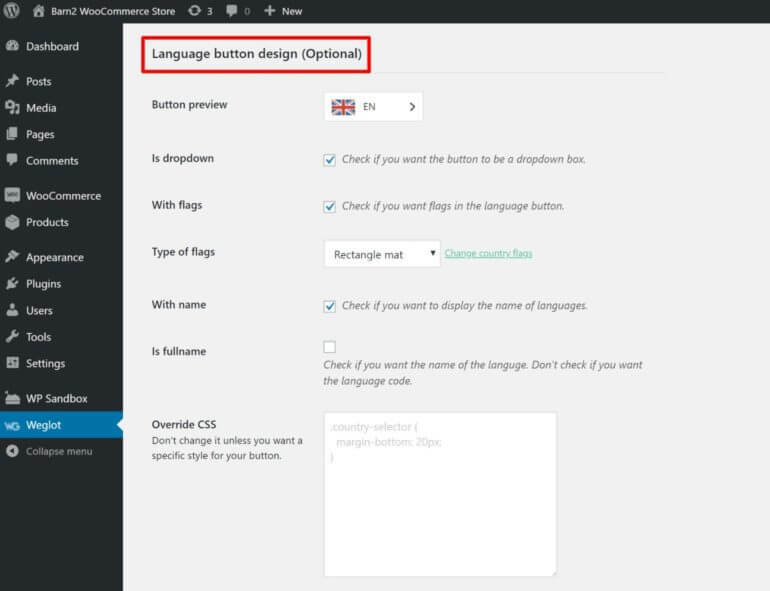 Now you have the knowledge – go and create your multilingual WooCommerce store! ConveyThis.com does pretty much the same thing, but costs less.